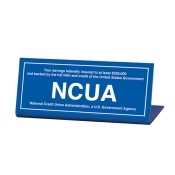 Budco Bank Supplies has been providing quality bank compliance signs since 1964. 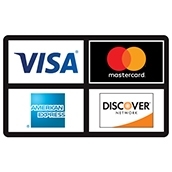 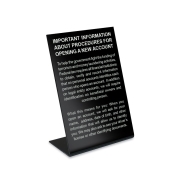 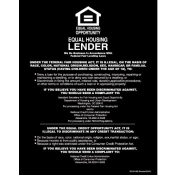 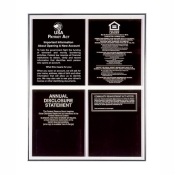 Whether you need FDIC, NCUA or any other bank compliance signage we have what you need. 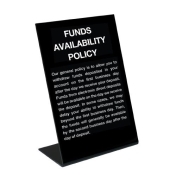 Budco also provides a large selection of teller signs, bank holiday signs, ATM signs and much more. 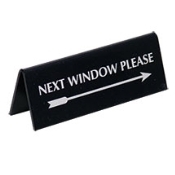 Budco Bank Supplies...Right on the Money since 1964.